The online merchant agreed Monday to be folded into home-shopping giant QVC in a $2.4 billion cash-and-stock deal that values zulily at less than a third of the peak it reached amid investors’ frenzy early last year. Less than two years ago, zulily’s knack for selling stuff to moms online was drawing comparisons with Amazon. Bewitched investors gave the budding company nearly half the market value of much larger Nordstrom and fanned hopes that Seattle might grow another Internet retailing titan. After months of struggle as that dream faded, the online merchant agreed Monday to be folded into home-shopping giant QVC. The $2.4 billion cash-and-stock deal values zulily at less than a third of the peak it reached amid investors’ frenzy early last year. This unexpected twist will leave the company with a degree of independence, retaining its management team and brand identity. Executives said they will be part of a like-minded juggernaut, eager to tap into zulily’s Internet savvy and younger customers. The deal will also put nearly $1 billion into the pockets of the two former Blue Nile executives who founded zulily barely six years ago: veteran tech entrepreneur Mark Vadon and Darrell Cavens, who will remain as CEO. For QVC, zulily is a strategic purchase that could bring its $3.6 billion e-commerce segment a nearly 40 percent boost, according to a presentation filed with regulators. Zulily expands QVC’s traditional baby-boomer demographic to “millennial moms” and extends its reach with shoppers increasingly dependent on mobile devices, the company said. What zulily does on the Internet — sifting through thousands of products and highlighting those that might be appealing to each individual — is “extraordinary,” and similar to QVC’s philosophy of offering a curated assortment of items, he said. 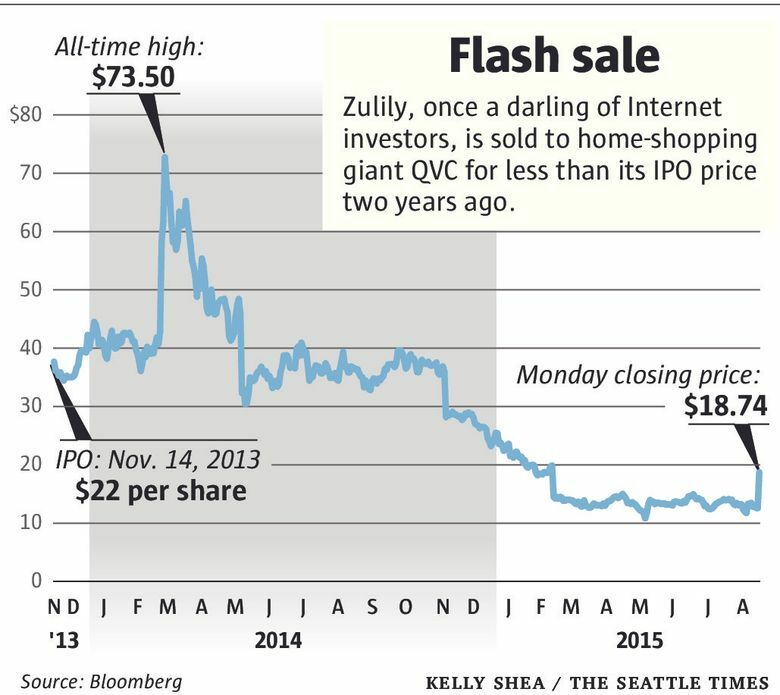 Zulily’s 21-month run as a public company has been a roller-coaster for investors. QVC’s $18.75 per share offer is worth less than the $22 at which the company first issued its shares in an initial public offering that valued zulily at some $2.6 billion. That figure almost immediately doubled and went on to surpass $9 billion in early 2014. Investors scared by poor performance of brick-and-mortar stores flocked to promising Internet retailers. And zulily promised plenty. In 2009, Cavens teamed up with Vadon, quit his job at Microsoft and secured funding for a flash-sales site focused on kids’ products. The site launched in early 2010, with a big assortment of different products, often from unknown brands. Zulily soon branched out into womenswear and home-decor items, its main theory being that it could drive sales by offering unique products and an entertaining experience for busy moms. An army of photographers, models, copywriters and other creative types gave its offices a vaudevillian atmosphere, as the site featured hundreds of new items on sale every day. Customers clicked en masse. By the time of its IPO, zulily had 2.6 million active customers (now that number exceeds 5 million.) It went on a hiring spree and moved out of SoDo into a sprawling headquarters in Belltown, facing Elliott Bay. Zulily had about 1,000 employees in early 2014; now it has more than 3,000 in several locations around the country. Cracks soon began to show, however. Growth was brisk, but not as brisk as many investors had expected.In February shares tumbled as revenues came in below Wall Street expectations and the company acknowledged that many of its recent customers were not buying as frequently as they had expected. In May, after another disappointing quarter, several analysts issued dramatic revisions of their once-bullish views. At financial-services firm Stifel, analysts who began covering the company in January with a “buy” rating reversed themselves four months later and went so far as to issue an apology. “We were wrong. Sorry,” they wrote. Zulily did show some improvements in working through those issues in its latest earnings report this month. 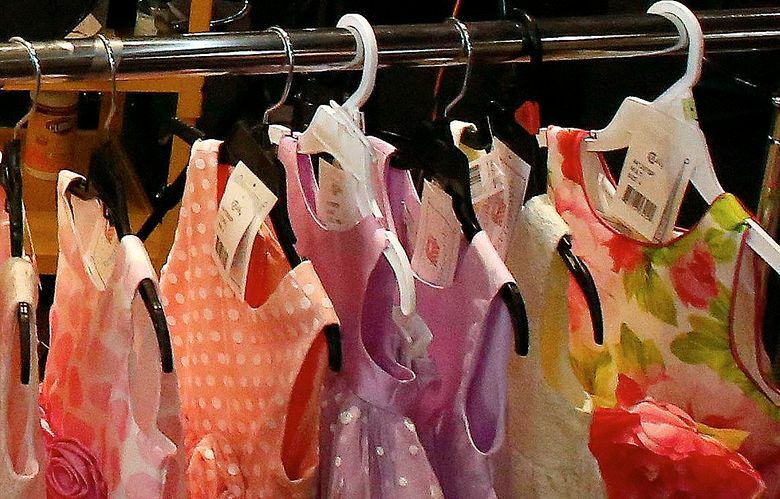 While shares were trading around $13 in May, Chinese e-commerce giant Alibaba swooped in to build its stake in zulily to 9.3 percent, triggering speculation about the new investor’s ultimate intentions. If the deal with QVC closes in the fourth quarter, as expected, Alibaba will at least have made a quick buck. The deal, which offers $9.375 in cash and 0.3098 newly issued shares of QVC stock for each zulily share, was approved by both companies’ boards. It amounts to about $18.75 a share, a nearly 50 percent premium to the stock’s price as of Friday. There’s a $79 million break-up fee if zulily backs out. But such an unlikely move would be in the hands of Vadon and Cavens, whose vast swaths of restricted shares have 10 times the voting power of common shares. A filing with the Securities and Exchange Commission said the vote of zulily’s board was unanimous, except for an unidentified director who recused himself. QVC’s George, who was in Seattle on Monday, said his company has “long admired” zulily. He said discussions about the acquisition have been going on for some time, but he declined to provide more detail. In a message to employees, Cavens said that about a decade ago he and Vadon were able to spend a day “behind the scenes” at QVC and meet some of its executives. “As I look back on the experience, it was really our first introduction to the idea of discovery-based shopping and what it could be,” he wrote. In an interview, Cavens said the acquisition was another “milestone” in zulily’s progression as a retailer. He said that there will be little change, especially in the near term, for day-to-day operations, and that there are opportunities for collaboration and growth. For example: Together they will have “probably one of the largest merchandising teams” in the world, referring to the people who find new items to sell and deal with suppliers. That’s a big advantage when scouring the world for novelty. Zulily will also remain Seattle-based and will keep hiring and growing here, he said. QVC’s global presence may help zulily extend its international reach, he added. Vadon will join the board of directors of Liberty Interactive, the conglomerate that owns QVC. Cavens and Vadon also get the chance to take large sums of cash off the table. The QVC deal makes Cavens’ stake of restricted shares, not counting stock options, worth about $394 million in cash and QVC shares. Vadon’s restricted shares are worth about $640 million, and he also has a relatively small amount of common shares and stock options.